Bold and the Beautiful spoilers divulge that Quinn Fuller (Rena Sofer) sets a plan in motion to end her son Wyatt Spencer‘s (Darin Brooks) relationship with Sally Spectra (Courtney Hope), once and for all. Quinn isn’t Sally’s biggest fan. Especially now that Wyatt’s high school sweetheart Flo Fulton (Katrina Bowden) is in town. So, Quinn takes it upon herself to end Wyatt’s relationship for him on the CBS soap opera. B&B spoilers know Quinn Fuller isn’t a big fan of Sally Spectra, something that the latter knows only too well. While Sally thought that she and her boyfriend Wyatt Spencer’s mother were finally getting to be on the same page, this all changed when Flo Fulton came to town. Quinn absolutely adores Flo, which sets Sally off. Now, Quinn decides to take matters into her own hands to get what she wants, according to new Bold and the Beautiful spoilers. She doesn’t believe that Sally is good enough for Wyatt. 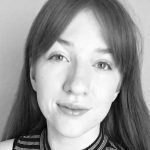 She dislikes their relationship and plans to end it, if she has her way. Wyatt has already had to reprimand his mother and put her in her place. Both in the past and recently in his relationship with Sally, his mom has overstepped and disregarded personal boundaries. Now, it looks like nothing has really changed. Quinn Fuller more than likely decides to take this step to end Wally’s relationship because Flo now lives in LA on Bold and the Beautiful. Spoilers remind that Flo and Wyatt Spencer were high school sweethearts. So, Quinn has known Flo for years. They haven’t seen each other since Wyatt and Flo were in school, but Quinn still loves her. She also wants her son and Flo to get together. Her and Flo’s mother Shauna Fulton (Denise Richards) think that Flo and Wyatt belong together. They’ve always wanted them to end up together. Now that they’re back in each other’s lives, it’s almost like fate. Of course, the few moments where everyone thought that they were siblings put this desire on hold. However, now that it has been revealed that Storm Logan (William deVry) is Flo’s father, Quinn may try to push the two together. She could even gain some help from Shauna, at this point, hint B&B spoilers. B&B spoilers predict that “Wally” has some trouble in their future. Quinn Fuller has overstepped many times in the past, but this time Wyatt Spencer may really call her out. He and Sally Spectra are in a stable relationship, and he loves her. Bold and the Beautiful spoilers indicate they don’t need Quinn ruining things for them. While Wyatt will fight for his relationship and put his mother in her place, Quinn might do enough damage for Wally to stumble a bit. After all, she seems to know how to hurt Sally the most. While Sally loves Wyatt and knows that their relationship is strong, it could simply take a few nasty words from her boyfriend’s mother to make her reconsider things. This new plan might help Quinn Fuller split Sally Spectra and Wyatt Spencer on the CBS sudser. Check back with Soap Dirt often for more Bold and the Beautiful spoilers. 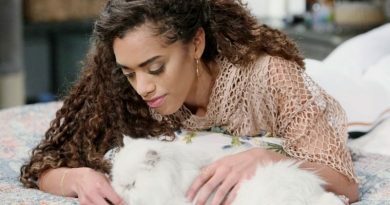 ‘Bold And the Beautiful’: Zoe’s Cat Harry Murdered – Emma Framed by New Model Bailey for Cat’s Death?